See statistics on the state of transportation and what to prepare for in 2019. We took a look at the highlights of 2018 that we think impacted the logistics industry. 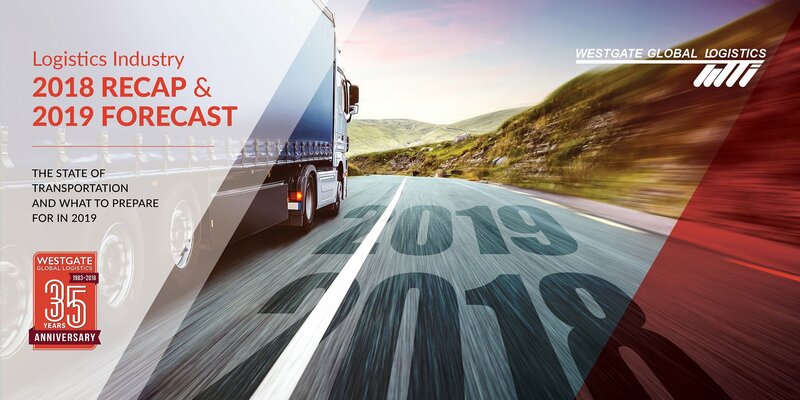 Reviewing the hot topics in our industry can help us all be better prepared for what is to come in 2019 and get ahead of freight trends. 2018 Recap: The ELD deadline caused some carriers to scramble while others were well prepared. At the end of the day, the improved technology can give us all better visibility and data. However, a survey by Cortex revealed 33% of respondents indicated it is more difficult to retain drivers because of the strict Hours of Service compliance. With the American Trucking Association stating there are 50,000 fewer drivers than available jobs, the ELD ‘solution’ could be fueling the flames of the driver shortage. 2019 Forecast: The next step will be how can we turn this data into business efficiencies. In particular, efficiency on the shippers’ part will be key to allowing drivers to use the majority of their allotted time on the road with the wheels turning. The more time spent driving will allow more loads to be completed on time and allow carriers to better plan their schedules (leading to less cancellations, delays and headaches for shippers.) Continuing to increase driver pay will be integral to attracting younger folks to the profession. While an increased driver pay may lead to a short-term increase in trucking rates, it will combat the extreme pricing fluctuations and uncertainty we are experiencing with the exponential growth of the driver shortage. Much of 2018 was spent dealing with supply and demand issues and could continue to get worse. Westgate will continue to monitor this as well as the hours of service issue in Congress. 2018 Recap: Logistics companies are now expected to utilize the latest technology in order to keep customers informed on their load status. While many companies tout that they offer the latest technology, not all of them have the attentive team to monitor the data and get the full use out of it. See our article on The Major Roadblock to Technology. 2019 Forecast: Offering technology will not be a distinguishing factor among brokers. How that technology is utilized and access to a support team will be what separates companies. Aggregating data and translating it into business efficiencies will be the next step. While technology continues to take over a large part of our every day lives, communication continues to be as important as it ever was in the freight industry. There are too many variables beyond anyone’s control (Traffic, weather, mechanical issues, etc) to allow technology to replace the service provider entirely. Where technology benefits us is by providing additional means to source trucks, communicate with carriers and track shipments to be ahead of issues. In addition, it offers efficiencies in back office procedures that allow customer service folks to concentrate solely on servicing clients to the fullest. At Westgate, we provide monthly ‘On-Time’ reports to several of our customers to highlight our performance levels. We also are very flexible and have developed custom reports to meet the particular needs of clients in providing them data that is valuable to them. Reach out to us to experience our boutique approach to streamlining logistics through an extensive network of resources, trained brokerage experts and unique personal service. Do you know if your logistics partner is costing you money? Recent statistics indicate that poor service could not only tarnish your company’s reputation, it could potentially cost you future customers as well. New Voice Media recently researched the cost of poor service and found that it costs U.S. businesses a whopping $41 billion annually in lost revenue. Not only will poor service cost you the current customer, research shows that most dissatisfied customers will share their bad experience and many will post a negative review online. Companies need to show consistent, efficient, and friendly service to retain and grow their business. An unreliable logistics provider could damage your reputation and cost you more in the long run by having to fix their mistakes. We outline how to avoid these mistakes and improve your shipping processes. 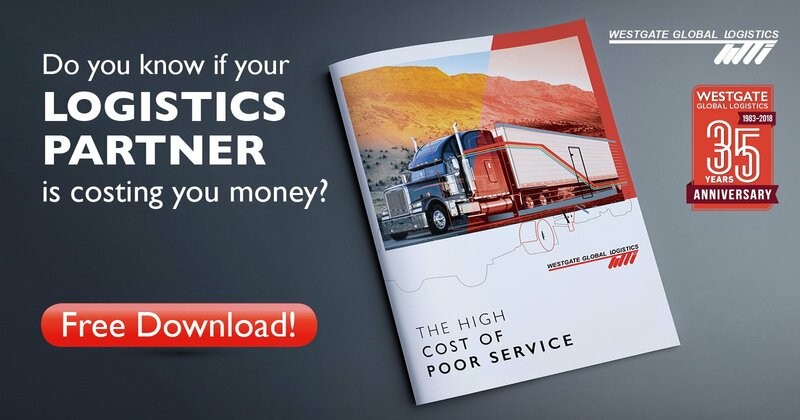 DOWNLOAD THE HIGH COST OF POOR SERVICE TODAY and learn how to stop profits from slipping out the door! Email us with your thoughts!